Who do you call when children are disappearing into thin air like magic? Or when your TV is turning the watcher into a mutant abomination? Or when a demon is possessing your computer? 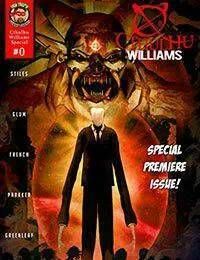 Cthulhu Williams and Co. Thats who. An ex-cop/con with an immunity to monsters, a time traveling amazon from the future, and a stoner grey alien. Theyll find a fix for what ails you.